Fairwinds is an Albin Vega, a 31 year old 27ft sailing yacht based in Balvicar, near Oban. 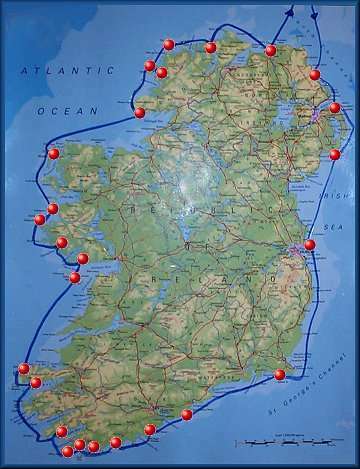 This is the log of her circumnavigation of Ireland in the Summer of 2004, crewed by Nick & Kathy Bowles. You can use the text links below to navigate the site or click the hotspots on the map for more information and links. If you start at the beginning here you can also follow the log sequentially. Most photographs can be clicked on to show an enlargement.